Linda’s work on this is awesome! My home town, Canmore (Alberta) is nestled in the mountains. We have a lot of glorious peaks around to take our breath away. One remarkable peak in Canmore is called Ha Ling Peak. It’s a popular hiking destination, and the views of Canmore from the peak are spectacular. This peak also looks pretty awesome from below. Ha Ling is the peak at the northwestern end of the Lawrence Grassi range (it’s the bump on the right in this photo). You can read more about how it got its name here. Often, if bad weather comes to town, it comes in over top of this range. Even on a nice day, the wind pushes the clouds up over the peak in a wonderful display that I just had to catch in my linocut artwork. 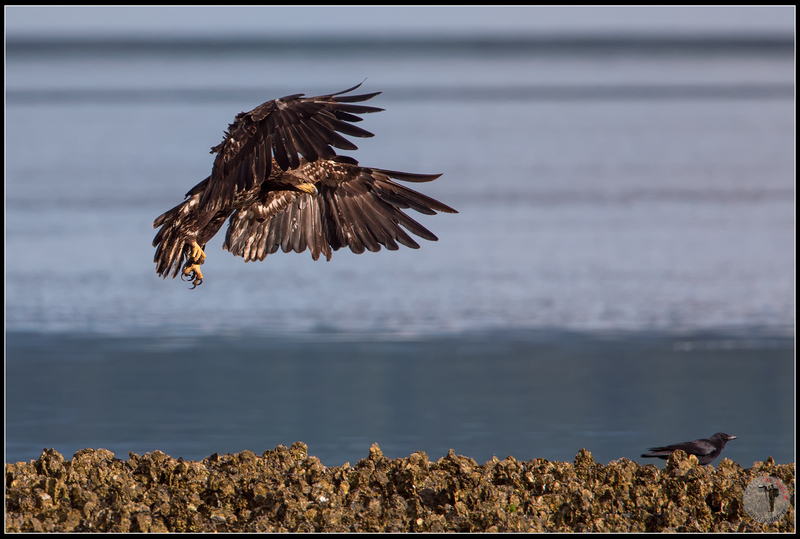 A young juvenile Bald Eagle quickly learns the ropes during a summer morning seafood buffet at Big Beef Creek on Washington’s Hood Canal. Spawning Midshipman’s fish exposed on the shallow beach during the ebb tide are easy pick in’s for the eagles that congregate there in late May through June. It seems I’ve had way less time to get out and capture any new bird photography images. With the onset of the fall season, things get pretty slow around here in the Pacific Northwest for birding also. I guess I’ll hold out hopes for a good winter season. Perhaps a few Snow Geese and some raptors including owls up in Skagit County might be in the cards. Until then I’ll just have to bore you with some of these leftovers from the archives of previous shoots. 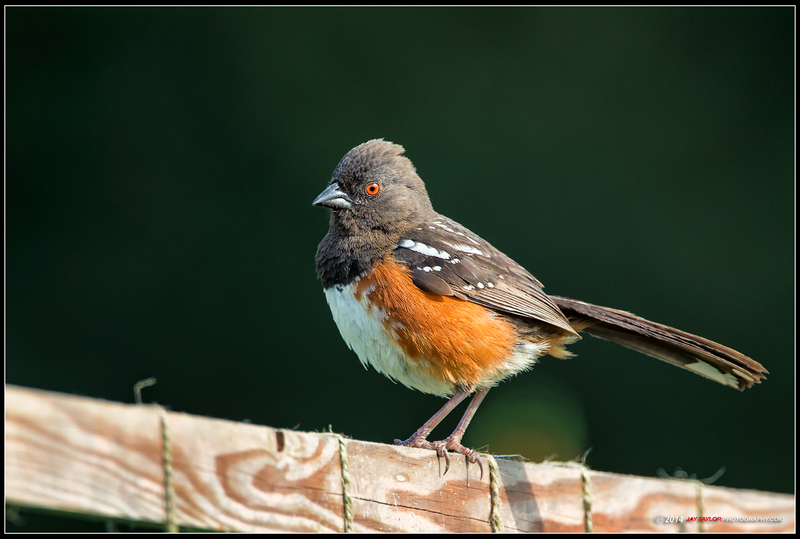 This one of a Spotted Towhee was captures a couple of seasons back while out looking for local humming birds. Would have loved to have caught him on a natural perch instead of this fence, but the light was pretty nice so I thought I would share this one none the less. 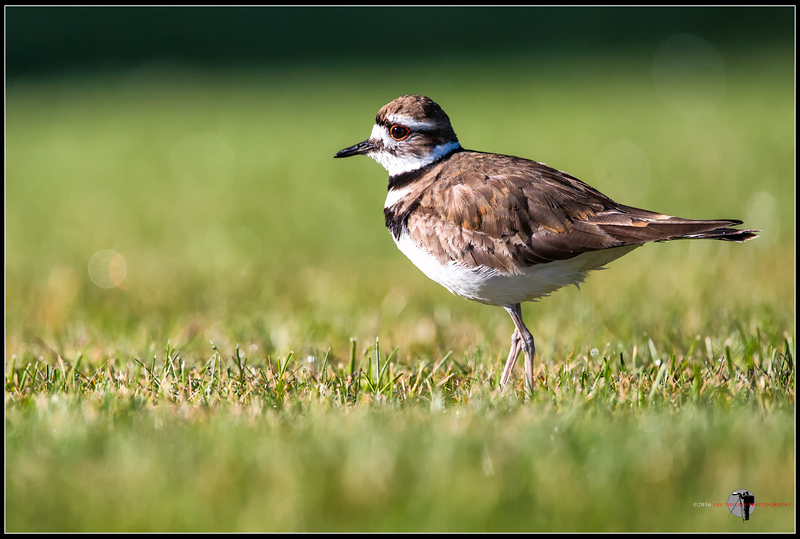 During one of the Seabeck Eagle outings in early June I spotted a pair of Killdeer who had taken up roosting in one of the waterfront lawns next to the beach. These birds are usually very skittish and don’t allow people to get very close to them. I took several shots while keeping a considerable distance to the leery couple with the 500mm lens also attached to a 1.4x teleconverter which allowed me to get “close” without putting undue stress on the birds. The lawn was elevated behind a seawall which allowed the same eye level perspective of the bird. Depth of field was rather narrow as seen by the strip of grass that is in focus.The green background from the grass works nicely to complement the colors of the Killdeer and there is a little weirdness with the bokeh that I hadn’t really seen when using this lens before. Processed with Lightroom CC, Photoshop CC, Nik Define & ColorEfx. Sorry I have been on a hiatus from this normally weekly blog post,it’s been several weeks since I have updated it. Summer has been extremely busy and between work, events, weddings, and salmon fishing I have not been out to take any bird photos since the Bald Eagles during the month of June. I am hoping to get back to posting more regularly, but it will be likely with previously shot images from my archives. 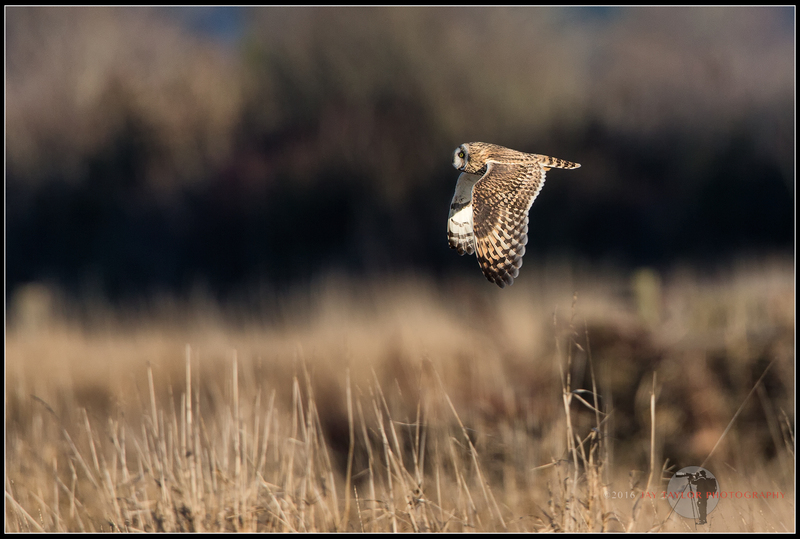 Here is one of the Short-eared Owls that I had a chance to see back in January of this year up at Stanwood near Camano Island. Since the Bald Eagle season has come to a close, I’d hoped to get out to capture a few local hummingbirds, but I’ve been so busy on my free weekends I haven’t had a chance to get out there yet. Here is another image from Stanwood (near Camano Island) of a Northern Harrier in search of a late afternoon meal. The shot is heavily cropped, but the blue sky background I thought was pretty boring anyway. Enjoy! Processed with Lightroom 4, Photoshop CS6, Nik Define & ColorEfx. 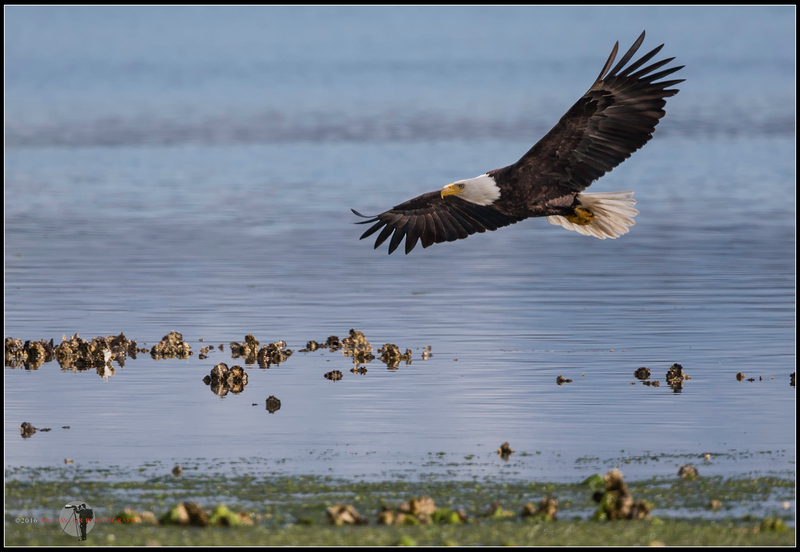 I only made a few trips over to Hood Canal this season to photograph the bald eagles. Conditions were favorable on two of those 3 trips and and I managed to capture o good number of keepers. Nothing spectacular, but I’ll be sharing them here with you during the coming weeks. Here is a shot of one of the adults coming in low for a fish it has spotted. Here’s one of the Bald Eagle shots from a couple of weeks back. I chose this one to share because I don’t always take a lot of images with them coming right towards the camera. 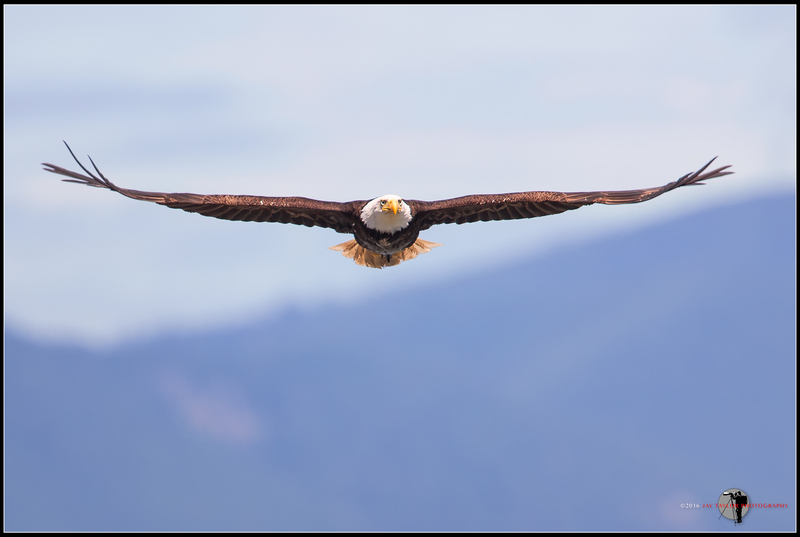 We were fortunate on this morning to have the wind blowing in the right direction (opposite the light) as the Eagles like to fly into the wind providing better looks for the photographers. 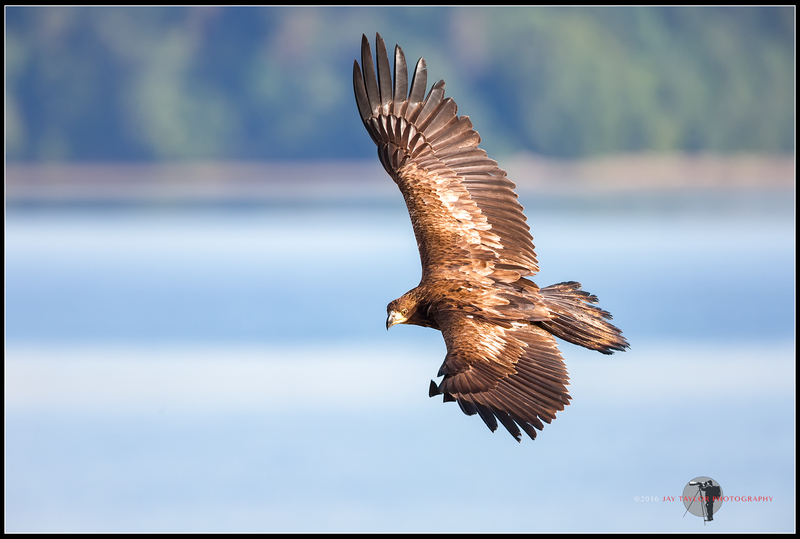 I’ve got a bunch more Eagle images to share with you all in the coming weeks so stay tuned. Since it is Memorial Day weekend I thought it would be fitting to present something slightly different this week. Most everyone looks forward to this weekend for several reasons. An extra day off from work, barbecues, camping, fishing , hiking, cultural events, and family get-togethers. Much of the opportunity we have to enjoy these life treasures and freedoms is owed to those American servicemen and women who have made the ultimate sacrifice with their lives in defending our nation. By honoring their memory, we make sure they have not died in vain. 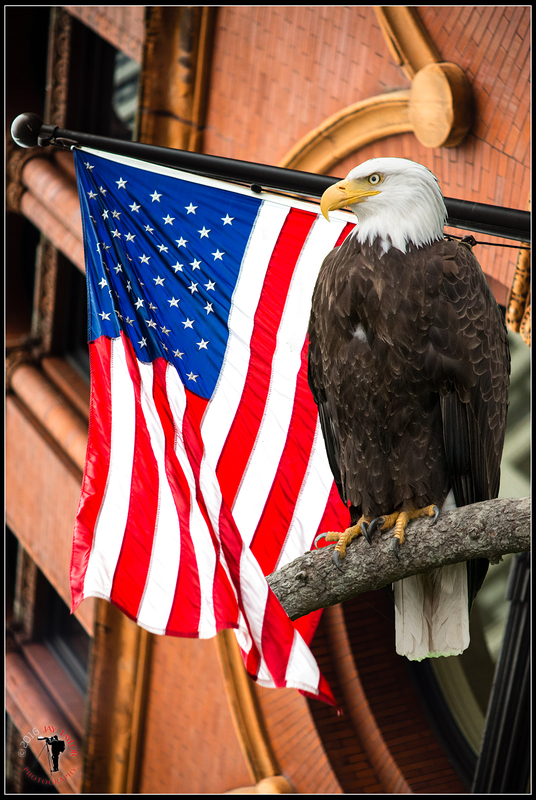 Take a few minutes this weekend and on Memorial Day to honor those individuals and their families.